It’s impossible and unjustifiable to think that words can describe the Bushmen tribe. Many believe they are one of the forgotten tribes and that our modern day inventions are superior to their knowledge and skills. They are a community that always struggled to evolve with modern society over several decades but we should never underestimate their individuality and the Bushmen, as a society. Authentic Bushmen may only be found in a few areas in Southern Africa. They still refuse to be enticed by the gold and silver that enriched so many cities in Africa. These Bushmen live in a similar fashion as their forefathers but with a few tweaks that made it easier to adjust to a way of life that changes daily. They now wear “modern” clothing and some also uses cell phones. Having said this, they still want to keep their way of life, as they know it. 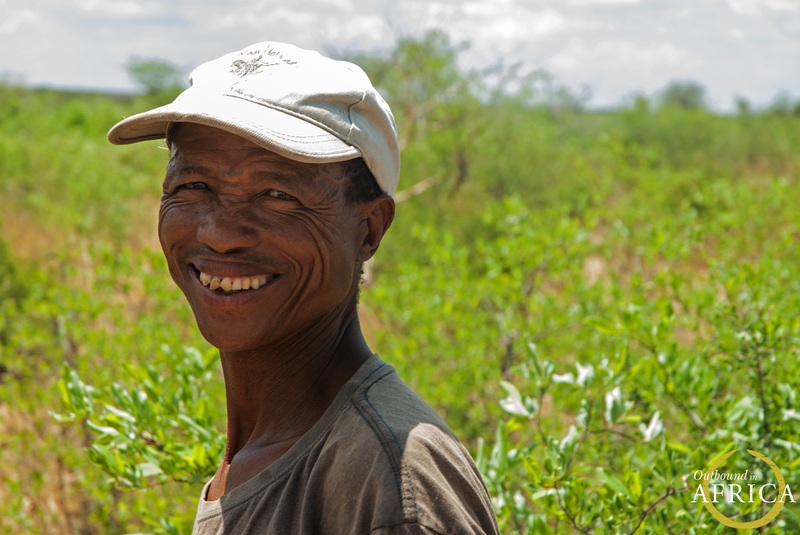 The Bushmen have a connection with nature, similar to famous movie known as the Avatar. They bond with nature unlike the western society of today. 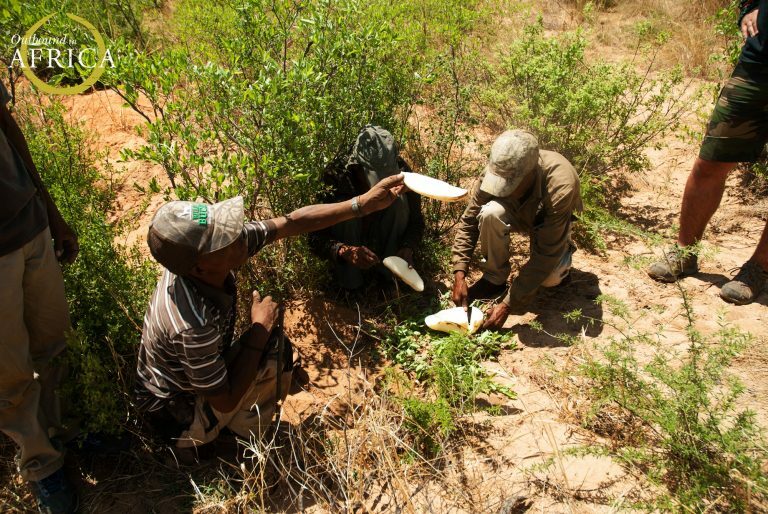 The Bushmen also realize the importance of all living things, be it the trees, plants, insects or animals. Their superior tracking ability is used with the utmost respect. They use their skills only to survive. Their hunting and ‘taking from the earth’ is never abused. To them greed is never an option. You take from the bush today what you need today. The Bushmen are spiritual people, believing in signs from above. While talking to the animals, they are sensitive to listen as well. They are further unified with the environment and have been part of droughts, fires, floods as well as abundance. We at (OIA) do not claim to know them as a community or as individuals, but with the little time we spent with them, we saw all their beauty during one moment of truth. We were searching for tubers (a thick underground part of a stem from a plant) that hold a water substance. It was boiling hot and we tracked animals on foot for hours until we could not continue any longer due to dehydration. The Bushmen, on the other hand, wanted to continue since they are adapted to these harsh arid conditions. One man reached down to a small plant and started digging for this tuber. He eventually found the main part where he perused to cut if off at a section which would allow the plant a re-growth. He then gently stroked the sand off the vegetable and continued to cut it into small pieces. This provided enough food for all of us – the taste was sweet, giving the texture of a raw but soft potato – our rumbling tummies welcomed this meal! The bushman took the sand that was dug up, placed it back into the hole – he then planted the small plant back into the ground. We enquired why this was done and his simple reply was ‘it is for later’. He expects the plant to grow again to provide sustenance to someone else in future. We learned so much from this gentle act of humility and respect shown to creation.